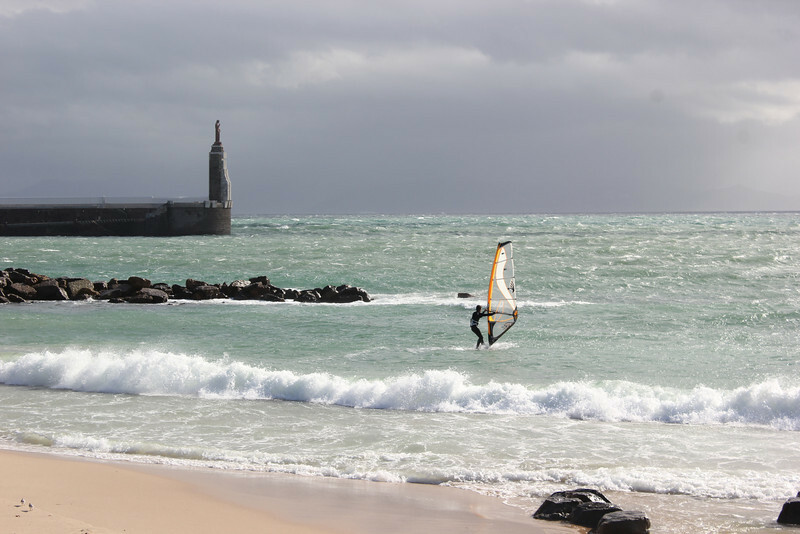 There are really only two reasons that you might go to Tarifa Spain: you are a windsurfer or you are going to take the ferry to Tangier, Morocco. We took the bus from Gibraltar and planned to spend the night in Tarifa before catching the ferry to Tangier the next morning. It didn’t work out that way. We had booked into Pension Correo for one night only. We checked in and then went to book our tickets on the ferry, only to find out that they didn’t think it would be running tomorrow due to the weather. I looked out the window of the ticket office to see a beautiful, calm sea. Okay. So when would the ferry be running again? They didn’t know but said to check back the next morning. 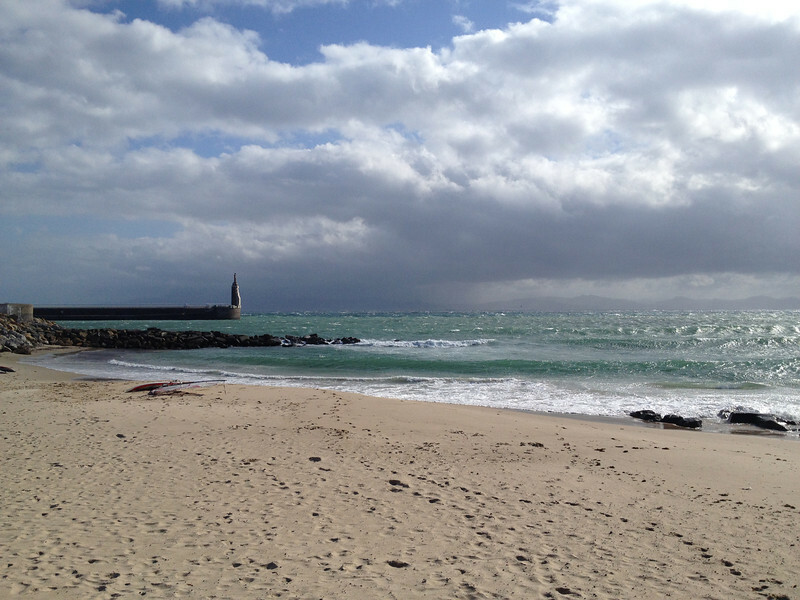 Tarifa is a small town. You can see every inch of it in a day. There are bars and restaurants but this is November and some places are either closed for the winter or they close early in the evening. We ended up eating a kebab and then going back to the room to obsessively check the weather forecasts for the next day. Micheal went back to the ticket office the next morning to find out the bad news. The port was closed for the day and they didn’t know if it would be open the next day either. Pension Correo was fully booked for that night so we checked out and moved to Hostal Africa where we spent two nights. I have a sneaking suspicion that the real reason the port was closed for those two days was that not enough people had booked the ferry yet. 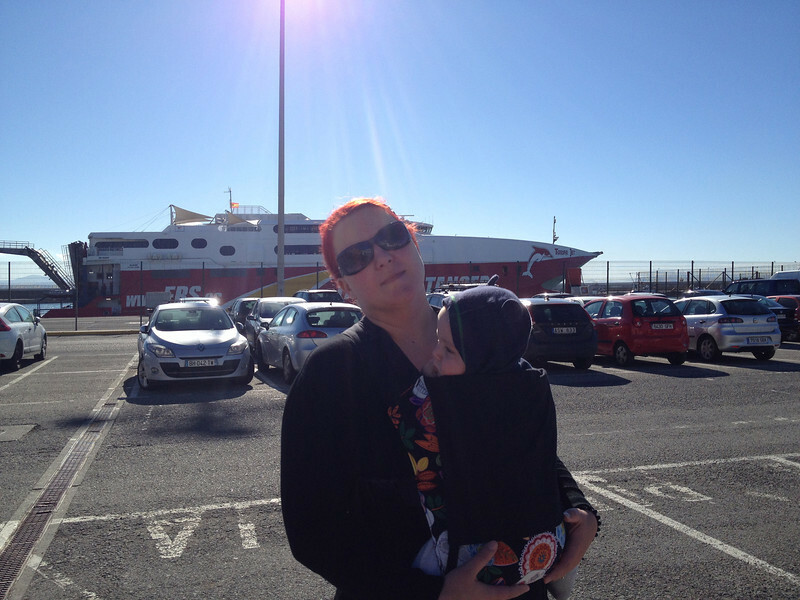 Happy to be boarding the ferry at last. Yes, I look really tired here. 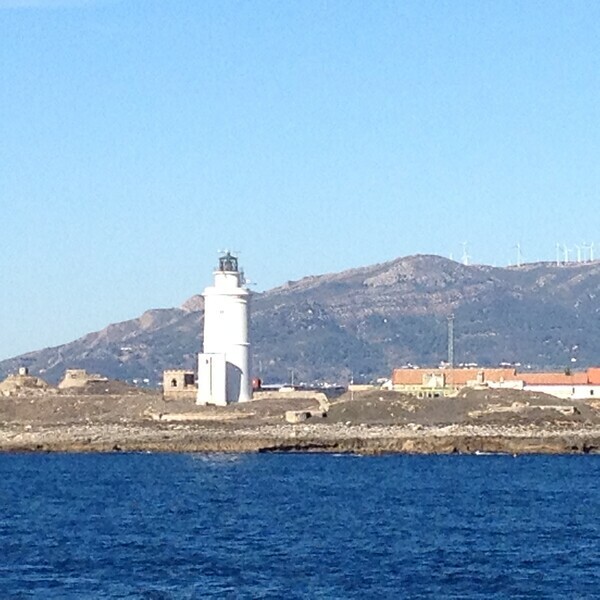 View of Tarifa from the ferry.